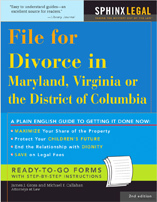 Divorce is difficult and costly. Avoid it if possible. Sometimes you have no choice. It takes two people to get married, but only one to get divorced. If your spouse wants a divorce, then you can slow it down, but you cannot prevent it altogether. Someone determined to get a divorce is allowed by law to get one even if one of the parties does not want a divorce. Or maybe you just made a mistake in marrying the person you did, and you need to correct it and get on with your life. If you do have a choice in the matter, then the first question you have to ask yourself is do you really want a divorce. The answer may not be clear to you right now. The decision to stay in your marriage or leave it is a significant one. It frequently takes time, sometimes years, to make this decision. So it is alright to stay in the inquiry stage for a while. Here are some of the things you need to think about before you decide to get a divorce. Sometimes the devil you know is better than the devil you don’t know. Although you may not get along with your spouse, you may dislike being alone even more. Eating by yourself, watching television alone and sleeping by yourself can be difficult. If you have been away from the singles scene for awhile during your marriage, you may find it to be an uncomfortable situation. You are older now. You may have children to deal with. Two may be able to live as cheaply as one when they are married. But in a divorce you are trying to pay for two separate households with the same money that previously supported one. This usually means there is not enough blanket to cover the cot. Sacrifices must be made and your standard of living might go down. Divorces involving custody fights over children are the worst of all. The stakes are the highest they can be. The children are right in the middle of conflict between their parents. Children usually bounce back from divorce with time. But that does not mean the bounce does not hurt. Children experience regret, blame, depression, anxiety, guilt and anger during a divorce. Their lives will change forever. The family is breaking up. The family home may be sold. Visitation and child support have to be established. The decision to obtain a divorce is a difficult one. There are more decisions to make as you move through the process. Some will be hard to make. While these decisions are important, you will survive your divorce and move on with your life. Your 1st statement is most true. Divorce should be avoided at all costs. Couples need to think of the ramifications. Divorce is not favored by anyone but sometimes the situation become so out of control that there is no other option except divorce. It is very tough for both the partners to cope up with the stress and alienation that occurs with this transition.